Wow! If you're a music lover, then April brings you a full scale selection of great music events from which to choose! 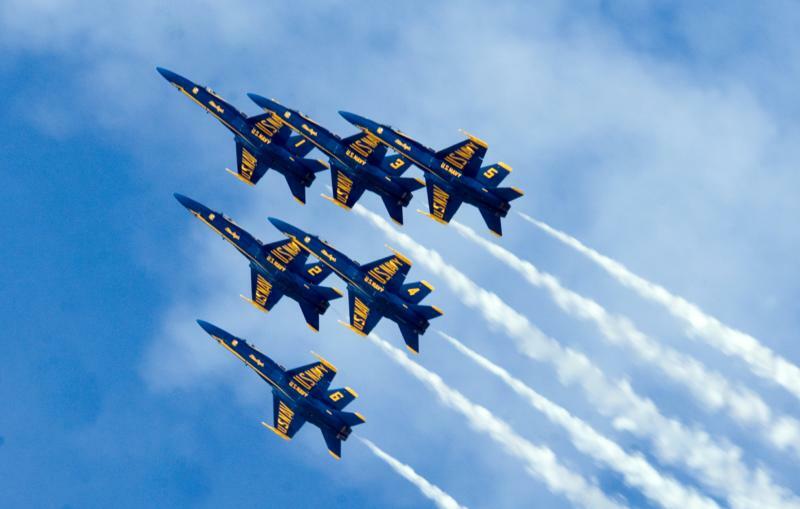 Blues, country music, rock 'n roll or bluegrass, there are a number of great concerts at great venues across the country to satisfy your musical leanings. America's national parks are celebrating their centennial this year! With so many parks that hold amazing and spectacular sights, don't wait another minute to make plans to visit one! Visit the nps.gov website and get started on a trip of a lifetime for your family. Get Your Motors Running... NASCAR Season continues! The NASCAR season continues! Make your plans now to hit the track for some fast-moving fun and have a tailgating party you won't soon forget! The STP 500 race at the Martinsville Speedway on April 3! The Duck Commander 500 race at the Texas Motor Speedway on April 9! The Food City 500 race at the Bristol Motor Speedway on April 17! 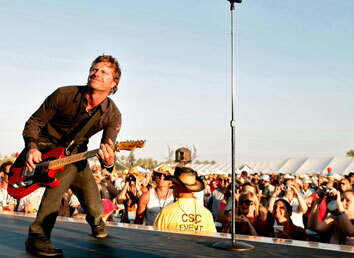 The Toyota Owners 400 race at the Richmond Int'l Raceway on April 24! Point Reyes National Seashore is diverse and rich in cultural and natural history. Various indigenous tribes, such as the Coast Miwok Indians have called this place home for the last 5,000 years. With over 1,500 species of plants and animals over a hundred mile area, Point Reyes is a naturalist's dream. Activities in the park include hiking, horseback riding, bike riding, kayaking, wildlife viewing, fishing, or just plain relaxing on a beach. Make sure to visit the Point Reyes Lighthouse, built in 1870. While there are no campgrounds for RVs in the park, they offer this page as a resource for nearby camping. 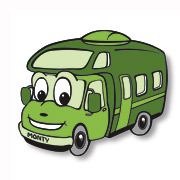 The closest El Monte RV rental location is in Dublin, CA. However, if starting your trip from another location is more convenient, we also have many other rental offices, so please visit our locations map to find a location that may be more suitable. 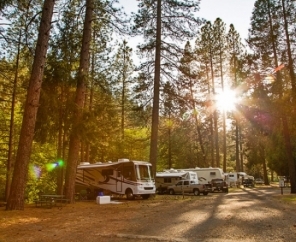 This month, our featured campground is the Yosemite Lakes RV Resort! Yosemite Lakes RV Resort is located just outside of California's beautiful Yosemite National Parkand is just 5 miles from the west gate. The South Fork of the Tuolumne River running through the preserve, is ideal for swimming, fishing and panning for gold. In addition, the resort is just 35 miles west of Lake Don Pedro where fishing, boating and water skiing are popular pastimes. The state's largest public cavern, Moaning Cavern, is also a well-known local attraction. 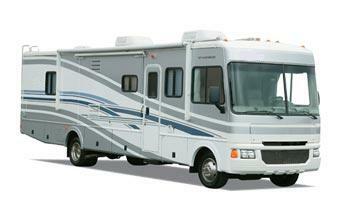 With 254 full hook-ups, Yosemite Lakes RV Resort is ready for you! Their RV campground is set in one of the most majestic natural settings in the country with plenty of woods, water and mountains to explore right outside your campsite. Amenities include shuffleboard, fishing, mini-golf, volleyball, basketball, horseshoes, billiards and more. 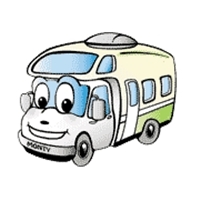 Check out our locations map for a convenient pickup location for your rv rental. ~ Combine ground beef and salt; mix lightly. ~ Form into 4 large, thick "steaks". ~ Place about 3 inches from broiler or hot coals and cook until desired doneness. ~ Meanwhile, combine blue cheese and orange juice concentrate; beat until smooth. ~ Spread on hot burger "steaks". This best selling Class A model sleeps up to four, comes with stove, refrigerator/freezer, microwave, generator and so much more. Looks like new! Includes warranty.